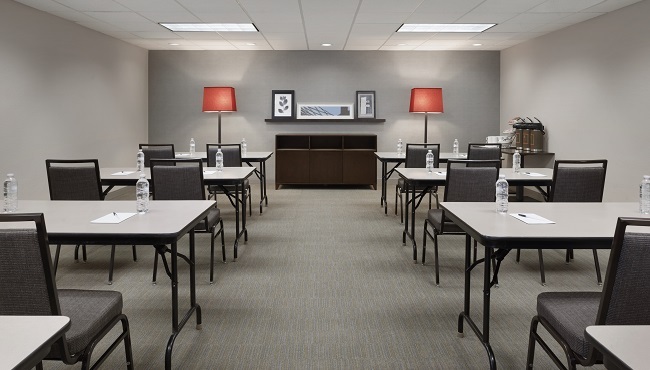 At the Country Inn & Suites in Houghton, MI, you can host business events, social gatherings and reunions for up to 40 guests in our spacious meeting room. Our rentable audiovisual equipment and free Wi-Fi make it easy to keep your guests engaged. We also offer a personalized Web page so you can keep your attendees informed before the function. Located near Michigan Technological University and other popular area attractions, our hotel puts your guests minutes away from the best Houghton has to offer.